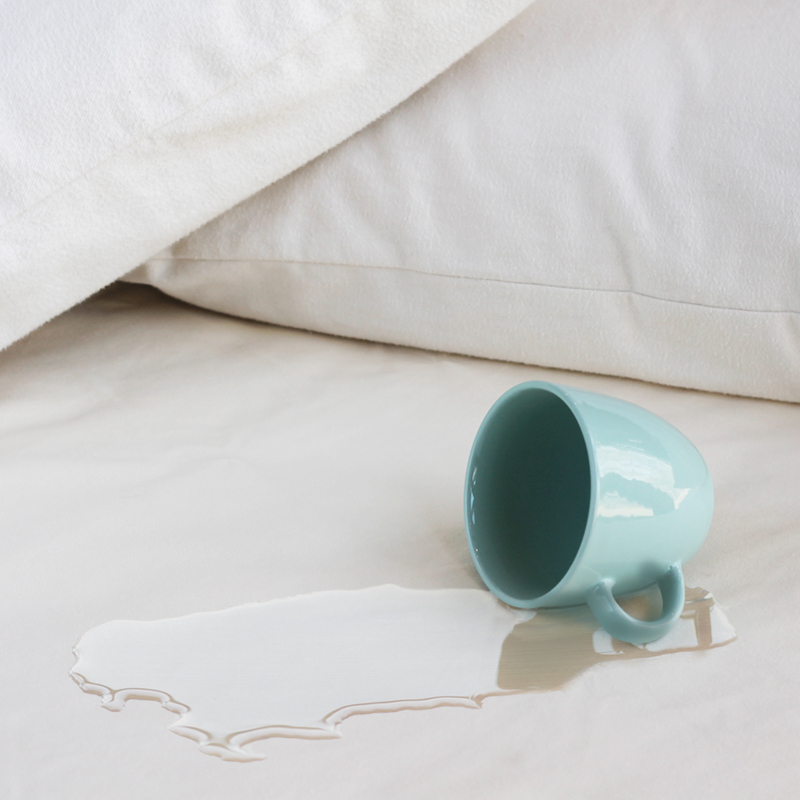 Help keep your mattress looking its best with our organic waterproof mattress protector. This waterproof mattress pad is made with organic cotton and does not include any vinyl. It’s important to protect your organic mattress so it will last for years to come. This waterproof pad will defend your mattress from spills and stains. 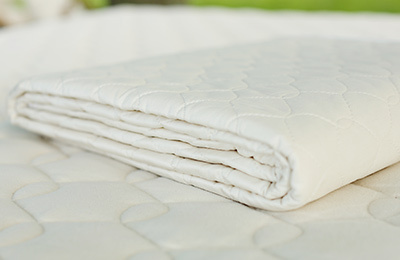 Waterproof mattress pads are ideal, especially for a child’s bed or when co-sleeping. A waterproof pad is designed to be there for those unexpected spills or accidents. 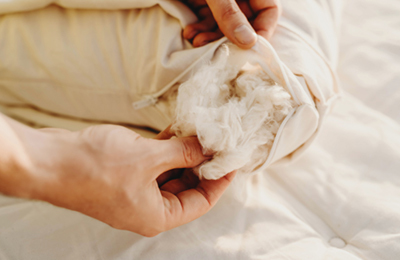 The inner fabric in our mattress protector has specific waterproofing properties, thickness, and pore size that stops liquids from coming into contact with your mattress while still allowing the mattress to breathe. 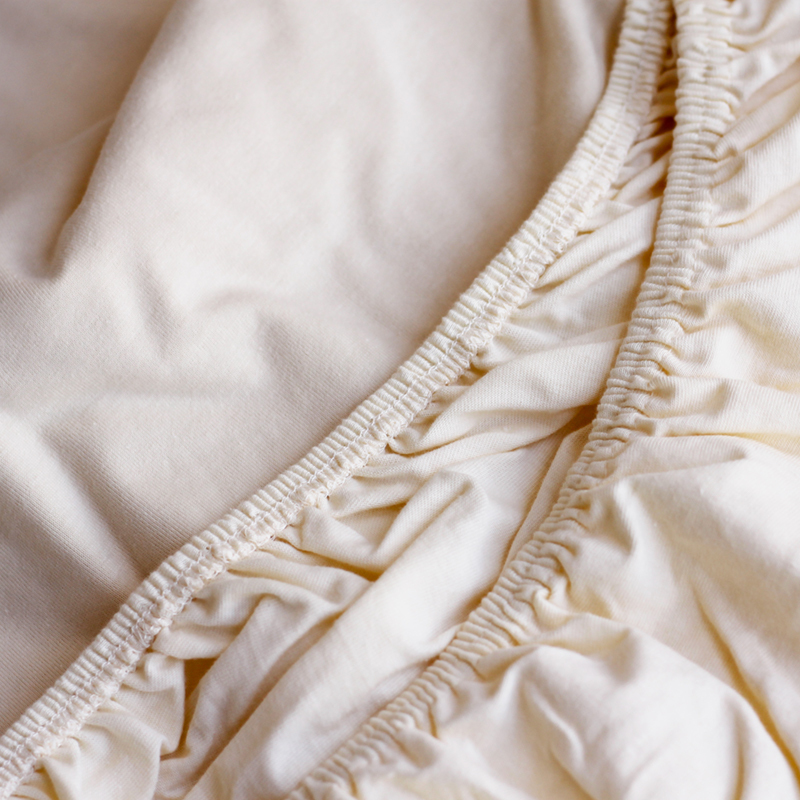 This mattress protector was not produced with flame retardants, formaldehyde, perfluorinated compounds (PFCs), pesticides, or any other harmful chemicals. This mattress pad is available from Crib size through CA King. Note: Ships directly, normally within 7 days. (Crib-sized protectors ship next business day.) For details see Shipping & Delivery. 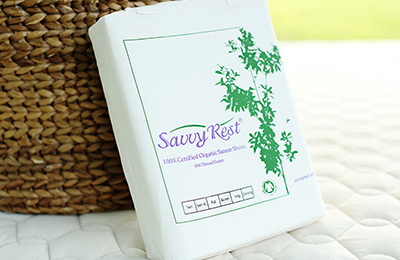 This quilted natural organic cotton pad protects your mattress and adds slight cushioning. 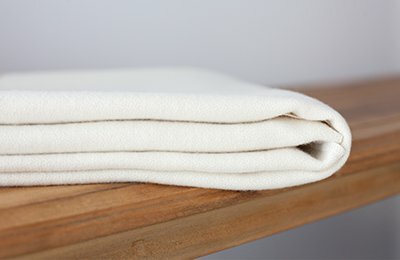 Protect your baby's mattress with this densely woven natural wool pad. Choose from seven styles of formed and customizable organic pillows to complete your natural bed.